I am a Mets fan. Let me repeat that. I am a Mets fan. I feel like I’m at an AA meeting. But there, I said it. I am a Mets fan. I’ve racked my brains trying to figure out why a nine year-old was attracted to this fledgling comedy show. My best guess is that their uniforms had the coolest colors. 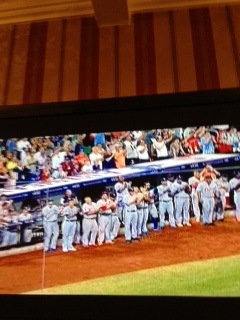 I remember going to bed crying because the Amazin’s had figured out another way to lose a game in the ninth. My parents could only imagine what this weeping child would grow up to become. Mets (and former Yankee) Manager Casey Stengel summed it up best: “We’ve got to learn how to stay out of those triple plays.” I would add that was an exaggeration because I can’t remember too many times that The Mets had two runners on base. So, here’s the set up. It’s been almost 50 years since an All-Star Game was played at the Mets stadium. Finally, the day arrives. The National League All-Star captain is a Met. David Wright has earned that spot. 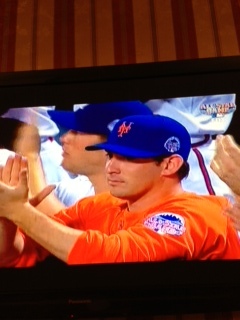 After all, he, like me, is a Mets fan. We earn our keep. I think we wrote the book, “Great Martyrs of the Faith.” You can find David listed there. The National League starting pitcher is Matt Harvey, the Mets’ twenty-four year-old phenom. 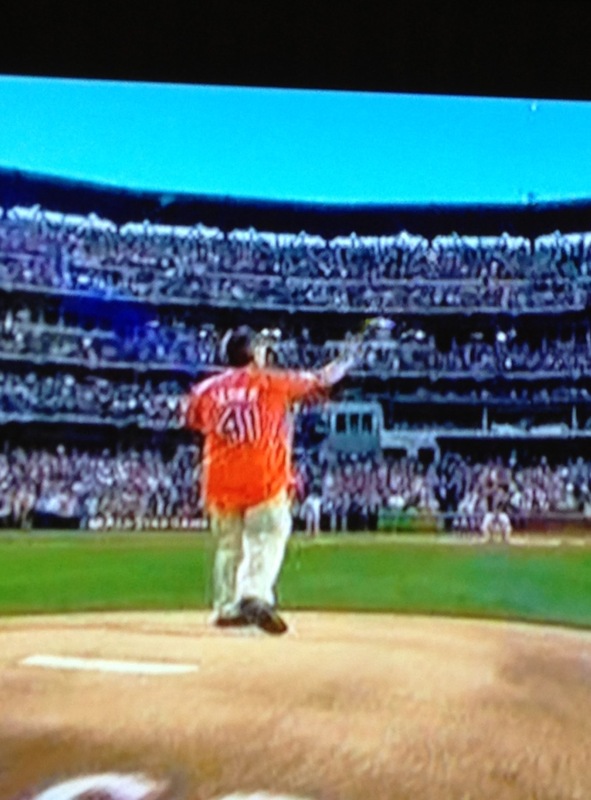 Bookend that with Tom Seaver tossing the first pitch. Mets eroticism. What an honor! This is the day that the Lord has made… for the Mets. Between Wright and Harvey, Mets fans finally have our day in the sun. Since I’ve been alive, the Mets have had few national moments quite like the 2013 All Star Game played at their home in Citi Field. Please understand, since Matt Harvey has been alive, the Yankees have been in seven World Series, winning four of them. Since I came out of the womb, the Yankees played in 19 World Series and have taken home the rings twelve times, not to mention winning it in the year of my birth. And we won’t mention the 2000 series. So, to have all eyes on the Mets AND NOT THE YANKEES ranks in rarity with the discovery of the Dead Sea scrolls. BUT… you guessed it. The Yankees stole the show. 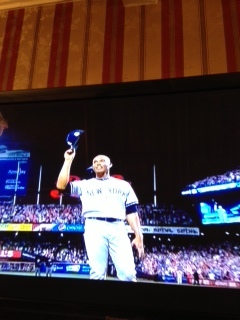 The media spin was all about Mariano Rivera, perhaps the greatest and most valuable Yankee to ever put on the uniform. There are few living legends walking the planet. On and off the field, Mo is one of them. He’s really other-worldly. Consider his most famous pitch: the cutter. It is considered the most lethal in baseball. All of Mo’s stats put him the category of extraterrestrial. Most saves ever, outrageous post-season ERA and MVP honors, yadda-yadda. He walks kinda’ tall when he’s not playing and the man he is and the things he does…well, no statistic will ever be enlightening enough. He gives money and time to church work. But that’s not the take-away in the Mo story. Mo gave his heart away to God and it changed his life and the history of baseball. For a few weeks after the discovery of his other-worldly cutter, he and his pitching coach thought the pitch was his fastball gone awry and they tried to get the fastball back under control. But he gave in to the unpredictable pitch, just as he gave into an unpredictable God who evidentally wanted to give the cutter as a gift to a man whose humility could handle that gift. Perhaps it’s was a way that God would reach fans in the only way they could be spiritually titillated – through success in baseball. 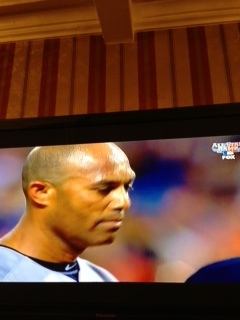 Mo is now leaving our national pastime in much the same way he left his fastball behind. He gave in to the guiding hand of a God that ‘cuts’ at the heart and leads us to the big leagues of faith. There’s no doubt that God has a sense of humor when you consider that Jesus is the only one in history who saves more than Mariano Rivera. And we Mets fans always thought we had the corner on miracles.